What’s Happening With the Relaunch into UTR Media? In early 2016, a UTR artist challenged us to think about growing. "What would it look like if Under The Radar was THE leading voice for folks interested in indie Christian music?" The question was an exciting one to ponder, and it started us on the path to cast a bigger vision for UTR's future. Now, about 18 months later, we are in the throws of our creative relaunch, and there's a lot happening in these parts, so we just want to give you the lay of the land, and the reasons behind each change. We kept the acronym UTR in our name, because we want to honor the past, yet move forward as a multi-media organization (not just one radio show). So now we are UTR Media. New logos and branding will give us a fresh look as well. Of all mediums, video is king. If you were using Facebook 5+ years ago, you might remember a day and age when the majority of posts were just text, and maybe an occasional photo. Now over 500 Million people are watching over 100 Hours of video on Facebook (alone) every day. As a media ministry, the time to adapt and serve these rapidly changing trends is NOW. All of a sudden, having a weekly syndicated radio show as the main piece of content seems "two-thousand and late" (thanks Black Eyed Peas). So we will be producing engaging video content - like full length interviews with Sara Groves, Branches, Mike Farris, Burlap To Cashmere, etc, and some creative shorter pieces featuring Andrew Peterson, Nick Flora, Brettan Cox, etc. Our first 2 video features under UTR Media release in September, starting with a 2-minute relaunch hype video (highly shareable), and the full 2-hour ETTL Rich Mullins Tribute Concert (releasing on 9/19/17, the 20th anniversary of his homegoing). Originally we had audio podcasts as only a small part of our relaunch plans. Becoming a part-time Uber-driver has me on the road a lot more, and it also renewed my love and passion for the audio medium. Podcasts like Serial, Missing Richard Simmons, Undone, & S-Town were instrumental in showing me the power of connecting with an audience through podcasting. 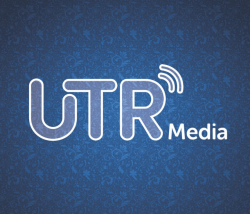 So, we are in the midst NOW of launching five new UTR Media podcasts. Episodes 1 of Gourmet Music Podcast and Good Patron are now available. In the next 3 weeks, we will be launching Green Room Door and Release Date. And Side Note will debut in mid-Fall. For several years, we have been regularly releasing free compilation albums on NoiseTrade, and we plan to continue that. We are also working on a Rich Mullins tribute album, teaming up with some notable individuals, like Reed Arvin, Andrew Peterson, Jason Gray, and others - for a Spring/Summer 2018 release. We are in talks with a couple of artists about possibly producing a long-form video documentary of their creative process. 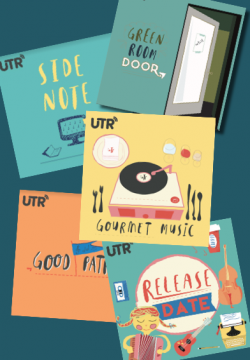 And wouldn't it be nice to have an online music stream of UTR-style gourmet music 24/7? We are hoping to make that a reality before 2019. And then, just to dream, ask yourself, "What would it look like if the funding for UTR Media tripled?" Think of all that could be accompished if we had a growing staff all dedicated to helping people rediscover your soul-connection to music. If you feel led, you can make a tax-deductible donation here.